Originating from Southern Asia, the kukri is an incredibly diverse knife that is used for everything from cutting vegetation to wedding ceremonies. Own a stunning version of that weapon with this Wood Handled Gurkha Service Kukri. 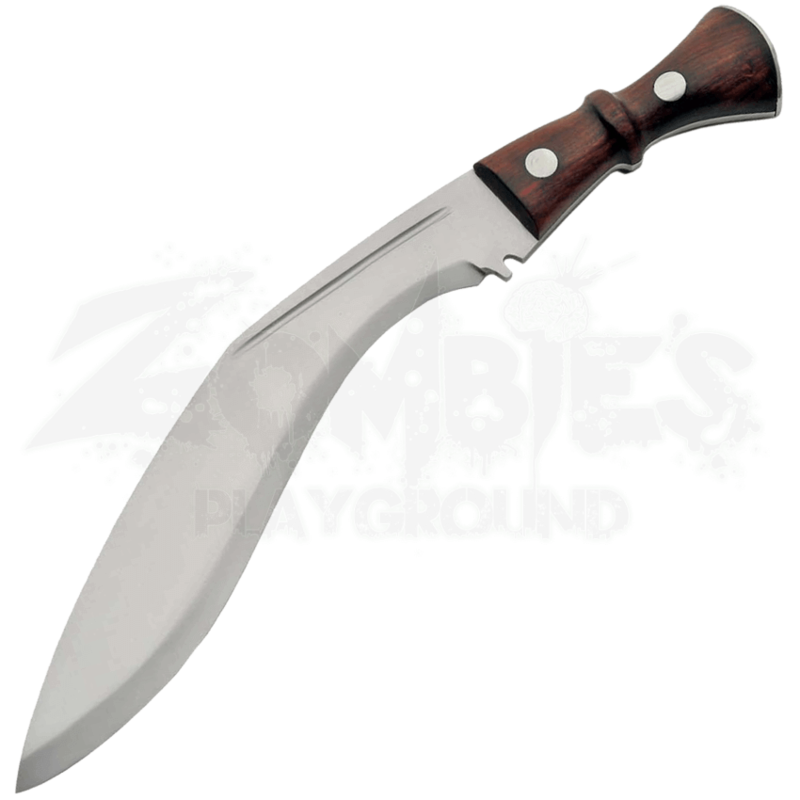 Created from stainless steel, the blade of this knife features the traditional curved design of the kukri that makes it great for chopping and slashing. The handle, crafted from real wood, is made by hand with a curved design and steel fittings. Two small tools, a sharpener and a small knife, are included with the kukri for extra utility. You can keep your Wood Handled Gurkha Service Kukri in the sleek black sheath that comes included as well, which will keep the knife protected until you are ready to show off its craftsmanship and impressive functionality.